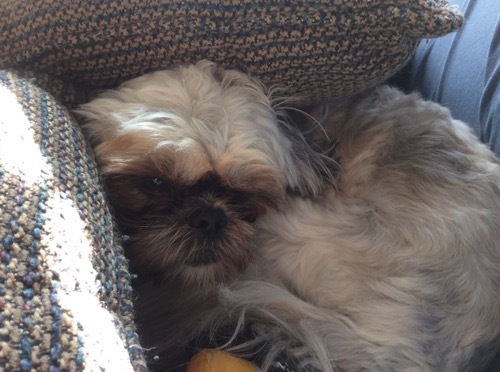 Boo likes to curl up in a cave made of cushions. Oh my goodness, she is so cute! 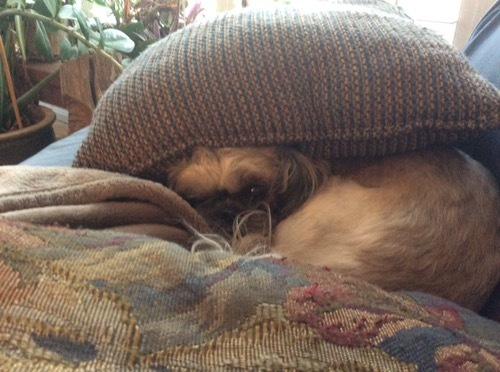 My Shih Tzu loves a good cushion fort too! We laugh at home because we brought two new settees for the living room and the dog is the only [person] to ever sit on the two seater. It’s the most expensive dog bed ever! Boo’s favourite spot is my knee but her second fav is the cushion cave.